I live in a area where we have several excellent local labs that cater to the range photographers with film processing and digital printing. Several have discontinued film processing over the last few years, especially the ones where film was a major part of their business, either going out of business or changing business models to focus on digital photography or commercial customers. Tacoma used to two labs that processed black and white film and one that processed color transparency (slide) film. One lab quit when the owner retired and couldn't find a buyer to continue the service after 50-plus years. The other dropped black and white film recently and will drop color slide film when they move to their new building later this year. The cost of a new lab was too much for the declining work they were getting. So this leave 3 labs in Seattle processing one or both films, and only one doing both. 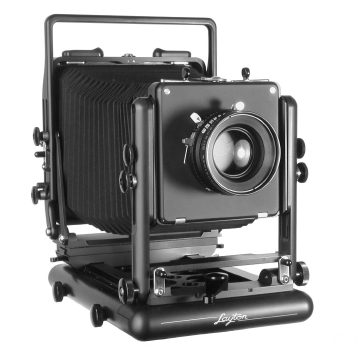 It's not anticipated these labs will quit as they have the last customers as well as a sufficient business to continue 1-2 day turn-around times, especially for large format photographers in the area. But their cost keep going up ($2 per sheet b&w and $4 sheet color film), and I now have to look at doing my own black and white film processing, again. When I was in the Air Force I volunteered at the photography lab for about two years, to learn film processing and printing. They weren't able to pay us, so they gave us out of date, some of which I still have but can't find the chemical anymore to process the film (E-3 slide film) or haven't shot the film since (Kodak 2475 recording film). I have the daylight tank and other stuff to do my own 35mm film, but not 4x5 sheet film. So, that's the lesson. There is always something else you have to consider and do. Do I pay the lab, plus driving back and forth (an hour to Seattle) or relearn black and white film processing. The wise photographer says the latter, and so I have to compile a list of equipment and costs, and find space in my apartment for the work.